The small micro brewery and bar may be one of the newest things to hit Lee's Summit's downtown scene, but the vision has been brewing amongst owners Eddie Pease and Mark Myers for a few years. Pease has had his eye on the building housing the duo's new venture at 224 SE Douglas Street for several years. When he saw the building listed for sale after Grains & Taps moved to a new location, an old idea started cooking again. His original interest in the building hovered around the idea of a boutique toy and magic shop. Instead, the building was purchased by another party and spent time as home to a floral shop and then the aforementioned bar and home brew store. Since that time, Pease met Myers and the two became fast friends over countless pints of beer and hands of poker. The meeting, Pease says, was both random and fortuitous. 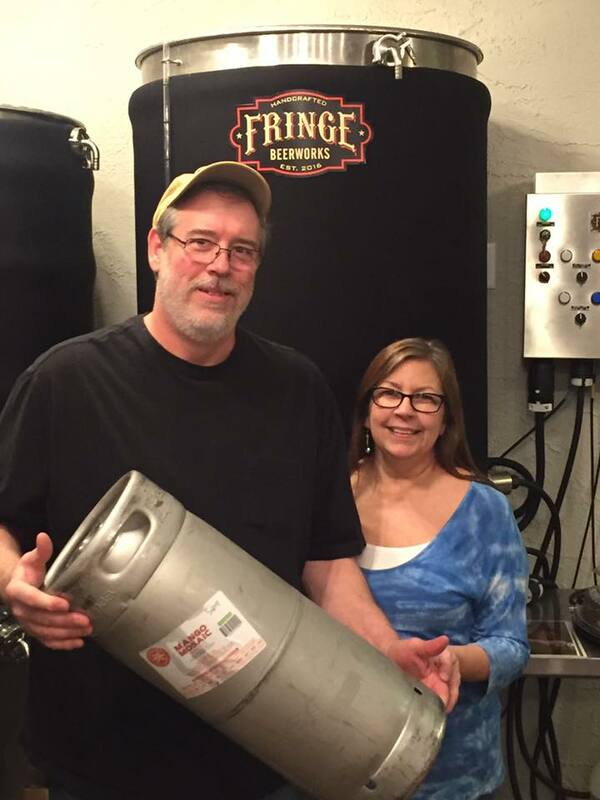 Fringe Beerworks co-founders Mark Myers (left) and Eddie Pease. "We've known each other for about 16 years now," he said. "Mark owns Molly Maids of Eastern Jackson County, and he was at our house giving an estimate to my wife for cleaning services. And while she was taking him in and out of all the rooms, he noticed a collection of poker chips and magic items I had in one of the rooms. They started talking and my wife invited him to join one of our card games sometime. And that's how all this got started. We've played a lot of cards and had a lot of beer." And just like that, Pease had met his mad scientist. Myers has been brewing beer for more than 25 years and the two of them quickly bonded over the shared love of beer and cards. Over the years, Myers tweaked his recipes and worked with Pease to set up their own elaborate home brew setup. The brewing paid off as their grapefruit wheat, milk stout and coffee milk stout each garnered national awards. Myers' educational background is in science, he holds a graduate degree in chemistry, and has used science as his base to build both his brewing system and award-winning recipes. "We make a really good team, Eddie and I," Myers said. "Eddie is a self-proclaimed beer snob. He loves beer and he has the ability to taste every little bit of the beer he drinks. He knows the flavors he tastes, or the flavors he's looking for and can explain to me in a way that I can figure out how to make it appear in the beer we brew. "Eddie and I have been friends for a long time. And I'd been making a lot of beer and we had talked about (having our own microbrew), but had never really done anything about it. He had just left an IT job and asked me how serious I was. And we looked at this building to see if there was anything that could be worked out. And it turned out this was the right time for both him and I." 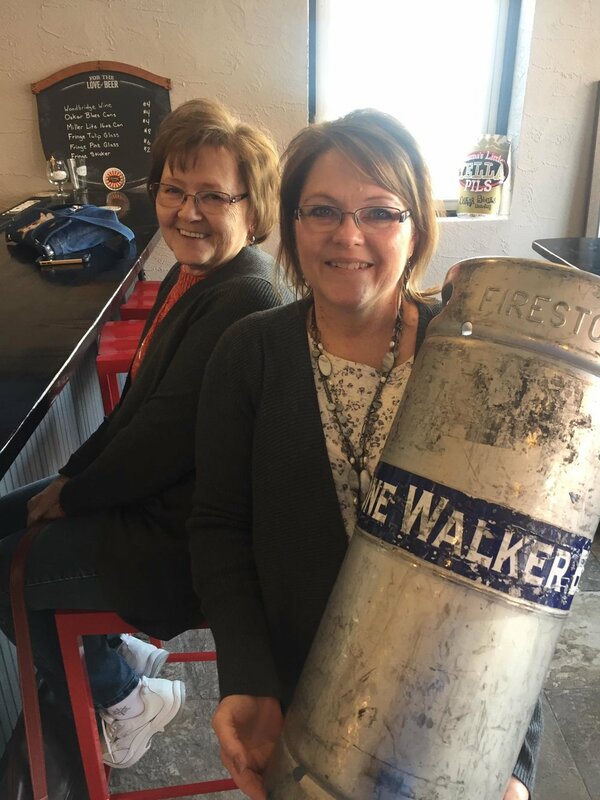 After looking at the building again, the plans for Lee's Summit's first microbrew started falling into place and the dream became a reality when the bar opened in December 2016. The name, "Fringe," stems from Pease's affinity for the oddities of circus acts. 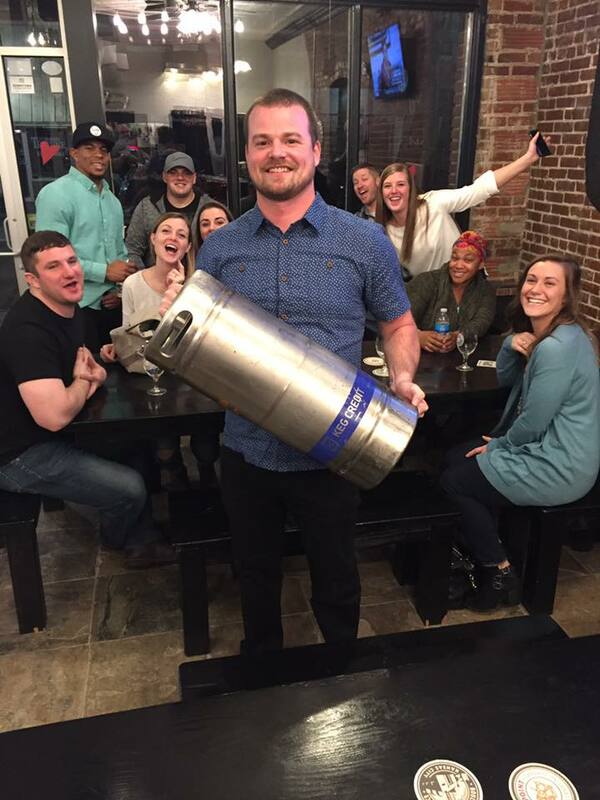 Since opening in December, the duo has seen a steady increase in traffic and created a loyal base, partially by posting pictures on social media of customers who finish off a keg of beer. "We want this to be a fun place for people to come and enjoy some beer," Pease said. "This really is our take on what the modern beer garden could be. We want to offer a good selection, along with the beer Mark brews. And we've got these big, communal tables encouraging people to sit together and interact over a drink."